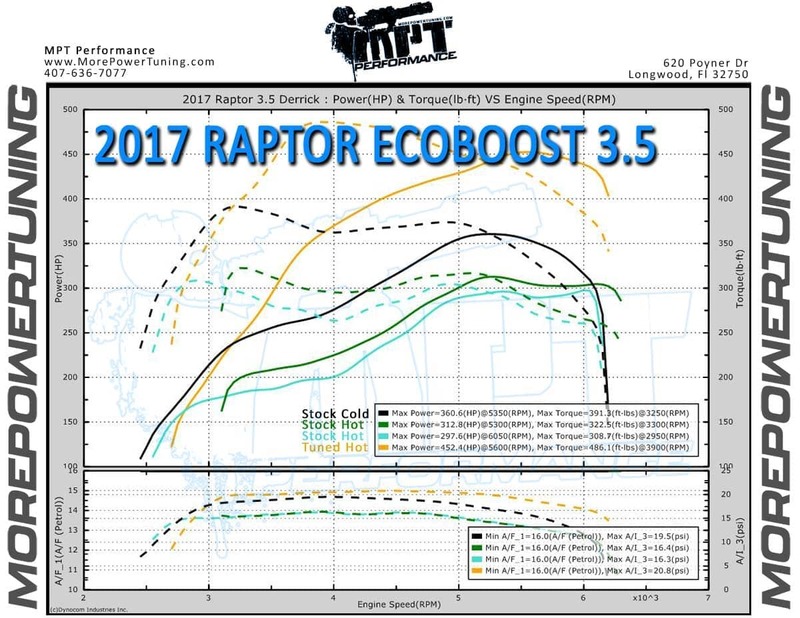 For those of you who are new or have never checked out the blog section of morepowertuning.com or are one of our returning readers, this is The MPT Rebate Report. This blog is your one stop shop for all rebates and discounts we can locate for the many great products we offer here at MPT. See that drop from the first stock pull to the third? That is due to the heat of Florida catching up with this truck. You don't want to lose any of the massive power MPT's tunes are giving you by letting temperatures get too high. Pick up Ratstat Thermostat or Wagner Intercooler to help keep those temps in line and your power's consistent, no matter what season you are in. 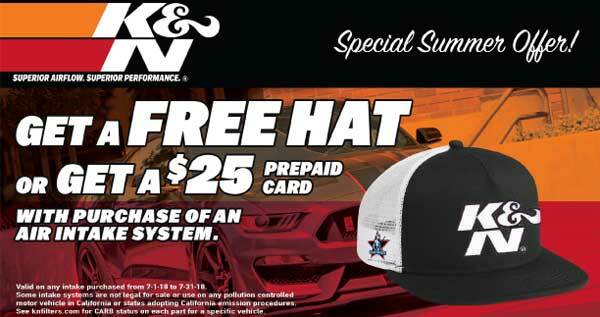 Get $25.00 or a FREE K and N Hat after mail-in rebate when you buy any K and N Air Intake System! Go to www.AirFlowRebates.com for complete offer and redemption information. Valid on purchases made between 7/1/18 and 7/31/18. Rebate submissions must be claimed online or postmarked by 8/30/18. Allow approximately 8 weeks for delivery. Limit one (1) redemption per household, except in RI where the limit is two (2). Offer valid for mailing addresses in the 50 United States and DC. This offer is a consumer rebate offer, dealers do not qualify. Cannot be combined with any other offer. $25 rebate will be paid in the form of a prepaid Mastercard. 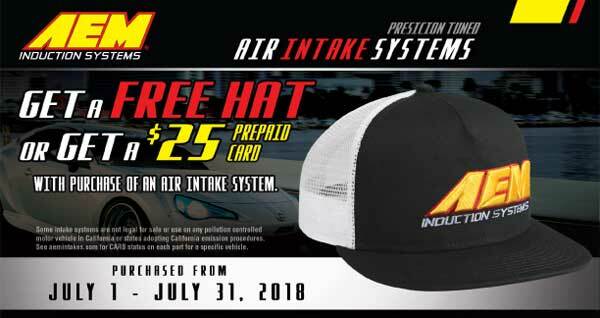 Get $25.00 or a FREE AEM Induction Systems Hat after mail-in rebate when you buy an Air Intake System! Go to www.AirFlowRebates.com for complete offer and redemption information. Valid on purchases made between 7/1/18 and 7/31/18. Rebate submissions must be claimed online or postmarked by 8/30/18. Allow approximately 8-10 weeks for delivery. Limit one (1) redemption per household, except in RI where the limit is two (2). Offer valid for mailing addresses in the 50 United States and DC. This offer is a consumer rebate offer, dealers do not qualify. Cannot be combined with any other offer. $25 rebate will be paid in the form of a prepaid Mastercard. 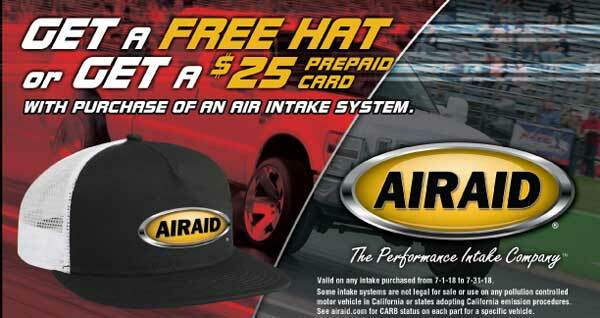 Get $25.00 or a FREE AIRAID Hat after mail-in rebate when you buy any AIRAID Air Intake System! Go to www.AirFlowRebates.com for complete offer and redemption information. Valid on purchases made between 7/1/18 and 7/31/18. Rebate submissions must be claimed online or postmarked by 8/30/18. Allow approximately 8-10 weeks for delivery. Limit one (1) redemption per household, except in RI where the limit is two (2). Offer valid for mailing addresses in the 50 United States and DC. This offer is a consumer rebate offer, dealers do not qualify. Cannot be combined with any other offer. $25 rebate will be paid in the form of a prepaid Mastercard. Get up to a $200 rebate on Omix-ADA family products! Eligible brands include Rugged Ridge, Omix-ADA, Alloy USA, Outland and Precision Gear products. Minimum total retail purchase requirements (per single invoice) of $149.99 Order total can be a mix of all eligible brands. Click here for a rebate form and offer details. Offer valid from 1/1/18 to 12/31/18. All qualifying parts must be on ONE INVOICE. Tax and freight charges not counted toward rebate. Must be postmarked within 60 days of the original purchase date. 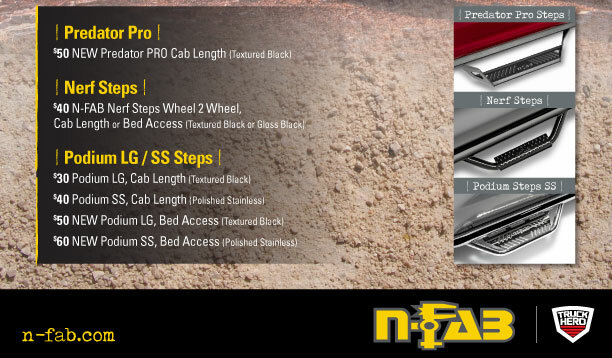 Allow 8-10 weeks for delivery after rebate end date of each claim. Valid to residents of 48 continental US states, Alaska, Hawaii and District of Columbia ONLY. Consumers allowed up to 10 rebates per household during the promotion dates. This special deal only for MPT customers will save you money on Wagner Tuning's intercooler for the 2011-2014 F150 3.5L Ecoboost, the 2015-2016 F150 3.5L Ecoboost, 2017-2018 Raptor 3.5L Ecoboost, and 2017-2018 F150 3.5L Ecoboost. Plus, you get a free Wagner T-shirt with select intercoolers! Just simply add the product to the cart and the savings will be automatically applied.